When it comes to woven and stitch Composite fabrics, we are the experts. When we require Composite engineering services, we call on some of the most experienced and skilled people in the Industry. We are pleased to be able these quality services to you. Click here to view Rik's biography. Mike has been an engineer for over 15 years and has been fortunate enough to work for a wide range of engineering organisations in the UK. As Principal Engineer, Mike established Oceania Composites Engineering to provide the Australian composites industry with a fully independent engineering consultancy covering both traditional glass based composites and carbon fibre composites using methods such as resin infusion and filament winding. 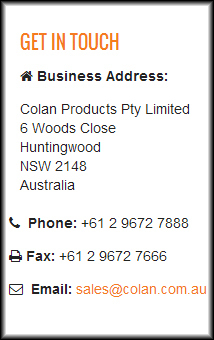 Oceania Composites was established in 2003 and has been working with both international and Australian clients. The experience gained covers a wide range of industries including automotive, naval defence, sub-sea, and offshore, all with an emphasis on composites. Mike was part of the initial UK initiatives for the rehabilitation of structures using carbon composites using resin infusion technology. Mike’s involvement taking him both underground and off-shore repairing and strengthening pipe systems and structures. Oceania’s interests cover both traditional and advanced composites technology including the design and application of thermoplastics into traditional designs.